Trying for a Girl or Boy? Let us help! We know all there is to know about Gender Swaying! We have developed Personalized Swaying Plans for you to use to try and conceive the gender of your choice. Maybe you have a boy or two and want a girl. Maybe you have a girl and would like to add a boy to your family! We are here to help. Our Personalized Swaying Plans are the most complete and the most affordable option on the Internet. There are no “forbidden” foods, no silly magic dates and you receive private coaching support with your plan. It is the most robust option available for Natural Gender Swaying. Let us do all the work for you and we will try our best to give you the best chance possible to achieve your Dream Gender! First, you need to become a registered user of our forum. This is free. If you have never been a member of an online forum, it is nothing to be scared of and it is simply a large support community made up of people with the same common goal. Once you register there(you choose a username so all of your personal information is kept private) you may then choose to purchase a plan. 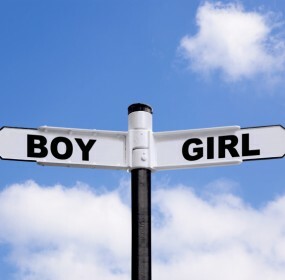 Registration also gives you access to our Natural Gender Swaying community that is made of of users’ questions regarding trying to conceive their Dream Gender. It’s simply lots of information that you may find helpful on your journey to your son or daughter.